Buy Manufacturer Direct and Save: Many USA spa control manufacturers are reducing cost by importing their PC Boards from China, Power Relays from Taiwan, and Heaters from India. They also eliminate the Pressure Switch, Heater Contactor and Power Terminal Block. 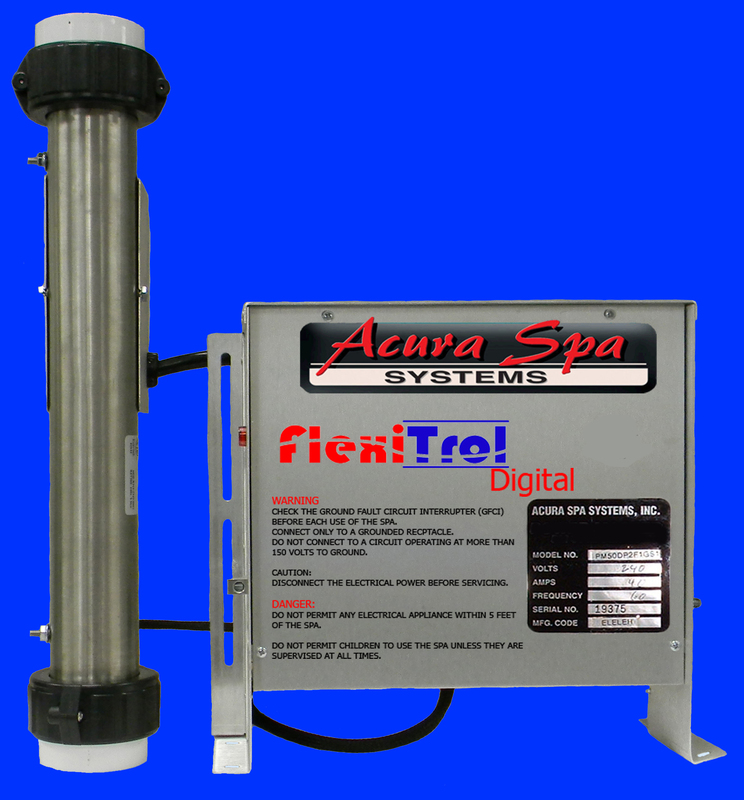 At Acura Spa Systems, we reduce cost by eliminating the middle man and all sales commissions; not by eliminating USA jobs and not by eliminating critical components. Heater Manifold Length: SS Flange-to-Flange=15"
Dimensions: L=14.0" x H=12.125" x D=5.5"
Our Topside Controllers are made with reliable membrane switch technology used in the Aerospace Industry. 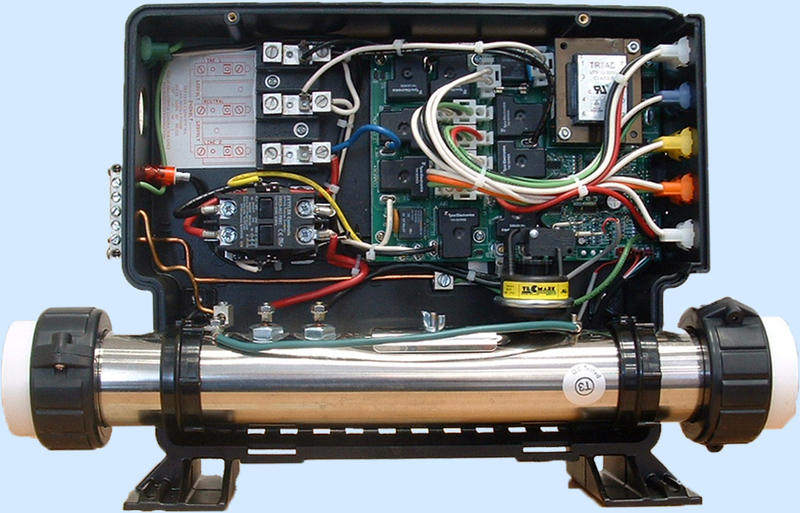 Our hot tub controls can power virtually any Waterway hot tub or spa! 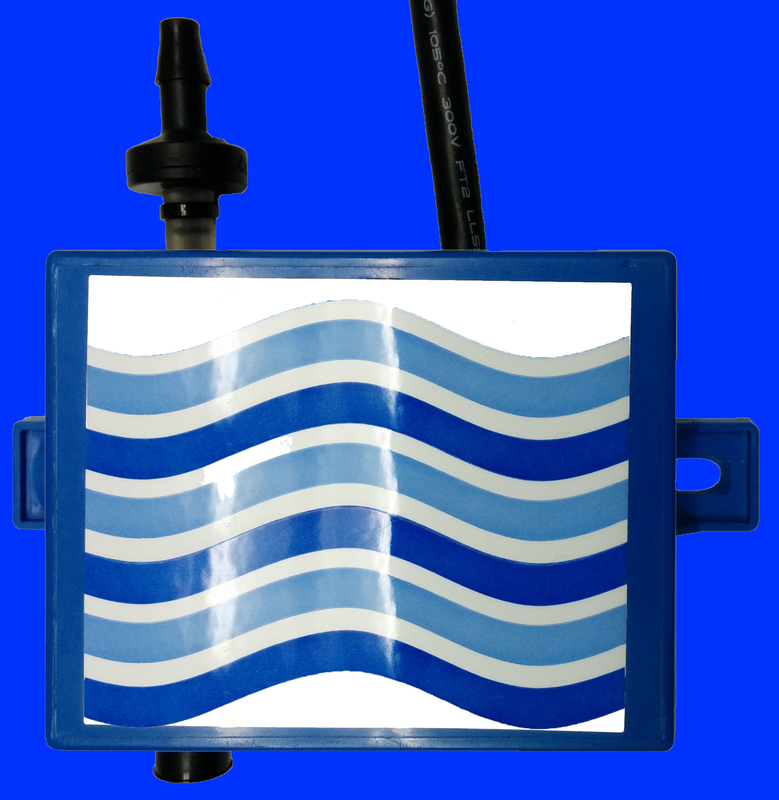 Simply verify dimensions for direct drop-in replacement in your spa. We carry all materials in stock. Since 1987, we have powered over 1.3 million hot tubs of different names and brands. We can also power yours. Throughout the years many consumers have replaced their Balboa Instruments controls with our USC. 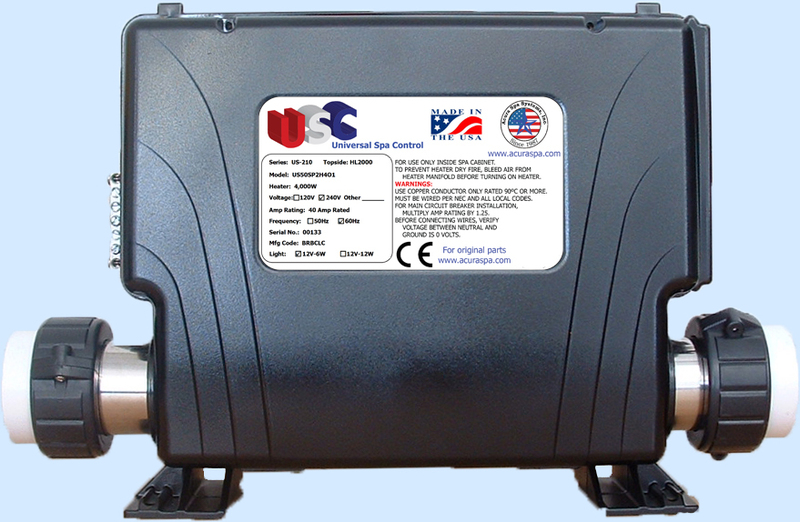 Consumers like to purchase MFG direct and save hundreds of dollars with our spa control. Our spa equipments are direct plumbing replacement to most Balboa packs with 15" Balboa heater manifold. When looking for a hot tub spa pack, Consumers should compare our spa control prices to Balboa direct prices. Many consumers have found it more economical to replace complete hot tub control and heater rather than only replacing the Balboa circuit board. Many of our top side controllers have the same spa dimensions to retrofit a Balboa spa controller. Please look at Section B above for all top side controllers we can supply to replace your complete spa control and heater.